Peter Hain has said military action against Syria would be “very dangerous” because it could drag Britain into full-scale war. The former Labour cabinet minister ruled out supporting the government, saying David Cameron’s motives were particularly suspect because he had wanted to intervene in Syria long before last week’s chemical weapons attack. Speaking to the Guardian, Hain said: “This is a highly complex civil war in a region where the wrong action could light a powder keg, with not just consequences for refugees that we have already seen but retaliatory action against other countries … [Bashar al-Assad, the Syrian president] has formidable weaponry supplied by the Russians and the Iranians. 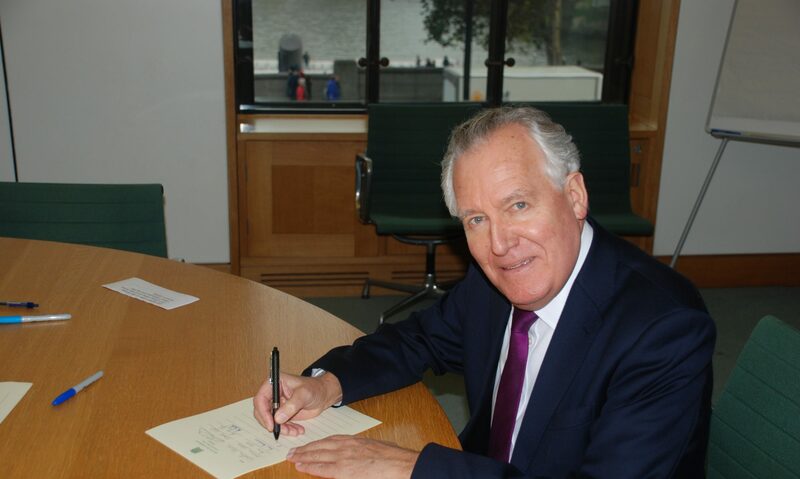 Hain is one of the most senior figures in his party to condemn unequivocally the government’s plans for military action. Unlike Diane Abbott, the shadow public health minister, who has also spoken out against intervention, Hain voted in favour of the Iraq war 10 years ago. Hain, a former Middle East minister in the Foreign Office, said it was impossible to believe Britain and America could intervene without making the situation in Syria worse. “What will be the collateral damage on civilians?” he asked. “What will be the retaliatory consequences? What will be the escalatory results? None of these questions can be answered by the prime minister, and everything tells us that, in Syria of all conflicts, the idea of a clean, surgical strike, with nothing following, is an illusion. Hain is abroad but trying to return to London in time to vote on Thursday night. He said he would oppose the government motion. The Labour leader, Ed Miliband, has said Labour will support the government only if the United Nations is consulted about the proposal to attack Syria and if the findings of the UN weapons inspectors in Damascus are considered. Labour will not say how its MPs will be ordered to vote until the text of the government’s motions has been published. Hain said it was particularly hard to trust Cameron because of his long-standing support for intervention in Syria. “If [the proposal for a strike] had come from a leader who had all along been opposed to military action, then I think people would sit up and say the chemical attack was absolutely monstrous and hideous, and it crossed a boundary of war that required some response by the international community. Hain praised Miliband, for taking a “cautious and sceptical” stance.